Many of my blog readers are familiar with the poem by Robert Frost “The Road Not Taken“. Now with GPS, it would seem all roads would be discovered AND traveled. Not so when it comes to the road leading to a monument memorializing the victims of Sept 11, 2001. The location of the former World Trade Center was easy to locate. All trains, subways have it as a destination. It has been a point of interest since it was first built. The new construction being erected in place of the destroyed/demolished Trade Center Towers is incredibly stunning — by day and night. 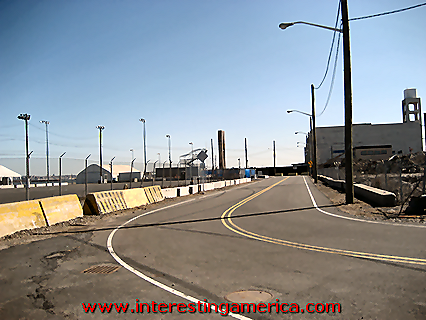 Security was located everywhere and barricades were placed on each street for most city blocks surrounding the WTC. Why is the extraordinary monument constructed by the Russian government and its citizens not mentioned in a prominent flier or tour guide for NYC? I was fortunate to be introduced to the artwork through a friend and an online video. It took much determination and alternate directional skill to located the monument. NO road matches the one listed online. There is NO sign or marker pointing the way to the monument. The towering reminder is on a desolate space that looks across the water with a view of the Statue of Liberty AND the newly constructed WTC memorial tower. 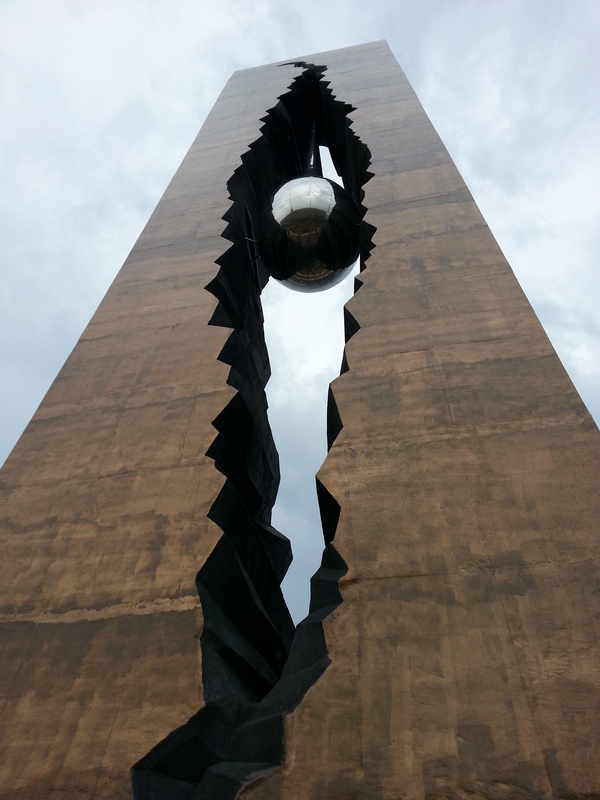 While snapping several photos of the Tear Drop, a young gentleman approached and asked if I wanted him to take a photo with the monument in the background. He shared that his uncle was killed in the Towers. He travels from California each year to see the Russian monument. He added that there is a new item added on the grounds each year — the latest being a sample of the steel beam from the WTC. I took the road less traveled and discovered a monumental display of art that expressed without words, the grief of loss to our country AND the world.